When looking for inspiration, browsing the Food and Drink board on Pinterest is one of my favourite things to do. 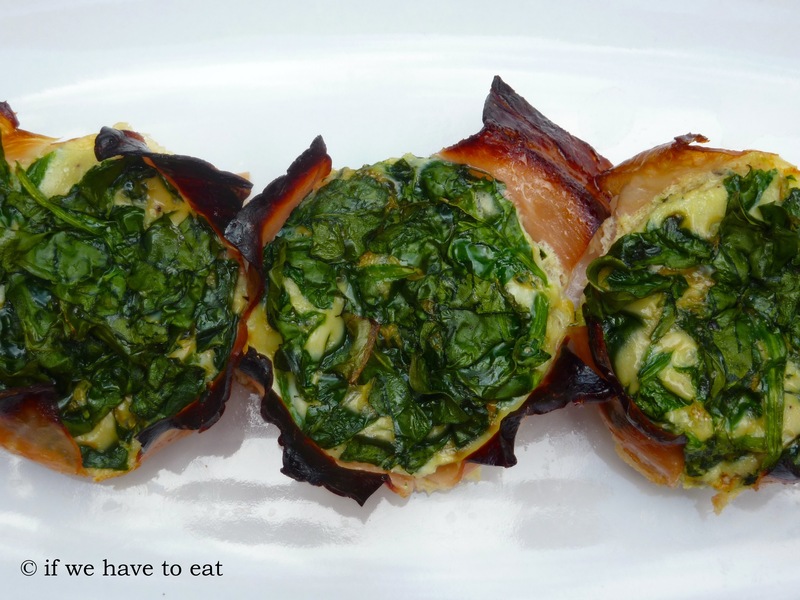 A few times now, I’ve seen bacon wrapped frittatas (e.g. 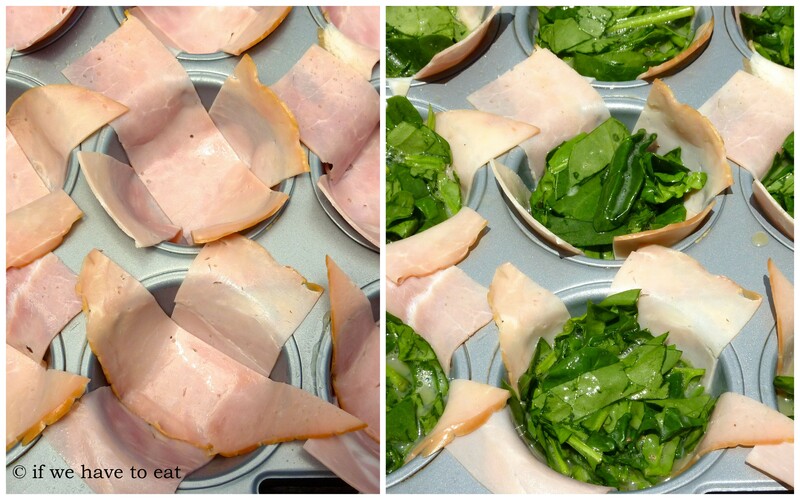 http://bestfoodpins.com/archives/8465) and then the other day I saw a recipe that used ham (http://ohsnapletseat.com/2013/01/14/a-paleo-breakfast-baked-eggs-in-ham-cups/) – which gave me the idea for this recipe. I’ve also added some spinach to squeeze in a serve of vegetables. This entry was posted on January 12, 2014 by ifwehavetoeat in Breakfast and tagged Breakfast, Easy, Eggs, Feed a Few, In the Oven, Make Ahead, Recipe.